It would appear that Bobby Kanode has been working on another full-length video to follow up from his “Mediocre At Best” video that featured some of Arizona’s finest. Here’s a taste of of what’s to come on June 11th, 2017. It looks like Troy Blair and Travis Cordova have been busy out cruising spots and stacking clips. Here’s a new split edit featuring the two going to work on spots out in Arizona. As expected, these guys bring a bunch of grinds and nose balance to go along with plenty of cassette action. We haven’t heard this song in quite a while either, haha. Check it! Fit Bike Co. just dropped this groovy (once you hear the song you will get it) new BMX video from Travis Cordova going to work on rails, ledges, gaps, rocks and really anything he could ride his bike on or over out in Arizona! Get on that play button because this one does not disappoint! “Watching Travis Cordova ride a kid’s bike is a good time. Creativity, tech, big moves… Plus, this one was captured and created by his homie and fellow Fit fam member Troy Blair. Good stuff outta AZ! Fit Bike Co. just dropped this double whammy special featuring bike checks with Travis Cordova and Troy Blair and their current Savage setups that they are running. Both bikes look like they’ve been getting a savage beating on the regular and holding up strong. 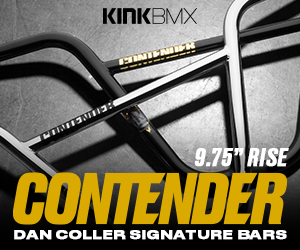 Take a closer look at these dialed BMX bikes in the flipbook above! It looks like Bobby Kanode is working on a new video project called “Lightworks” with some of Arizona’s finest! Not sure if this one will be coming out on DVD or just online, but if it’s anything like “Mediocre At Best”, were in for something awesome! Check this promo!